Everything you need - Our complete Capital In-Ground Trampoline's kit includes the trampoline, retaining wall and clear instructions. Brilliant bounce - It's all about the springs. Our Capital In-Ground Trampolines are the only ones to use a commercial grade spring, we make them extra-long and we use 33% more springs than our competitors. Shhhh - Capital Play are the licensed global patent holder for the 100% unique Vented Frame Pads - all the air escapes through the padding, eliminating that irritating pad slap noise. Safety - If you choose to add a safety net, we are the only company to offer full, half and quarter net options. Easy - We designed our trampolines for DIY installation. 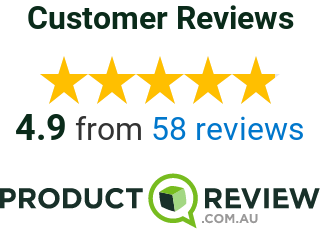 Don’t just take our word for it, read our Customer Reviews. Long lasting - From German steel & springs, our trampolines are built using only the highest quality European materials. Jump Now, Pay Later - with 3 months interest Free Terms via Zip Money. Our Capital In-Ground Trampolines are manufactured in Europe using the highest quality materials and parts. Our European manufacturing facilities adopt rigorous quality control and testing procedures. The frame is made from thick galvanised steel. The mat attaches to the top of the frame whilst the bottom section forms the base. The retaining wall is attached to the top and bottom frame sections. The retaining wall ensures the surrounding ground remains firm and prevents soil falling into the hole. This tough and durable retaining wall is made from a 4mm thick eco-friendly, recycled polypropylene/polyethelyne compound. It quickly and easily attaches to the frame using self-tapping screws. The TDU patented vented safety pad allows proper airflow through the pad eliminating 'pad slap' noise, which can occur with other in-ground trampolines, and greatly improves the bounce quality. German made 220mm springs are pre-tensiled and conical in shape to ensure they will never stretch or deteriorate in performance. The springs are double dipped 'hot' galvanised for extra rust protection. The springs have a curl at one end for extra safety. In addition to the safety padding and for added safety, the edge of the jump mat has an additional mesh which covers the springs. Is the the bounce quality as good on an in-ground trampoline as a traditional trampoline? Both our above ground and in-ground trampolines have superior quality and bounce. However please keep in mind that sometimes the bounce quality of an in-ground trampoline can be compromised. This happens when the air under the trampoline gets compressed resulting in an inferior bounce, therefore it's always important to allow the air to escape freely and the best solution is to use vented pads. You can also use vent ducts using 4 inch flexible ducting hose coming from under the trampoline to somewhere on the outside of trampoline. Once air flows freely we find the in-ground trampolines have a great bounce as the actual frame of the in-ground trampoline is held very firmly when it's in the ground and therefore minimal energy is dissipated through small movements in the frame that you get with an above ground trampoline. How much space around the in-ground trampoline should I allow? It is always recommended that there is space around a trampoline. This is to ensure that there are no hazards which could harm children jumping. For an in-ground system in particular please allow 2 metres around the perimeter of the trampoline. As there is a more of tendency for children to run straight off (if there is no enclosure) or fall off the side of an in-ground trampoline you should ideally make sure there are no hazards such as low height brick walls or concrete fence posts nearby. You can always put protective cladding over any potential hazards for added safety. Can I move my in-ground trampoline if I move house or my children grow out of trampolining? Yes, if you have used our in-ground Trampoline, it's very easy to lift the whole frame and wall out of the ground, remove the retaining wall panels and disassemble the trampoline. The hole can then be filled in again to leave the area as it was before. What tools and equipment do I need to dig my own in-ground trampoline hole? If you're feeling energetic, all you need is a spade, pick-axe, wheelbarrow and plenty of muscle-power. It would typically take two people a long day to dig a hole in average soil conditions. A great aid to assist you is to hire an electric vibration dampened breaker from your local tool hire shop. They're not expensive to hire, easy to use and will great assist in digging out your soil. If you want to hire a mini digger, this is a good option, but can be expensive, you may have access problems and they can cause damage to your lawn/garden. Also do not underestimate the difficulty in operating a mini digger. Whatever your hire shop might say, mini diggers are not that easy to operate, especially when your trying to dig quite a precise round hole. You're best to always hire an experienced 'man with a digger'! Will the in-ground trampoline hole fill up with water and do I need some form of drainage? If however you have clay or chalky soil then rain water can collect in the bottom of the pit. It's advisable to put a simple soak-away in the very bottom of the hole you have dug. This is a simple task and usually sufficient to provide sufficient drainage for you. Our in-ground Trampolines have been designed to make it easy to use both with and without the safety net option. The enclosure poles are designed match directly into the top of the frame and a top rod and high quality net provide you with added security should you wish. The enclosure system is an optional extra which can be purchased and is easy to assemble and remove. If you have younger children we recommend that you use the safety net enclosure to ensure a safe and enjoyable jumping experience.